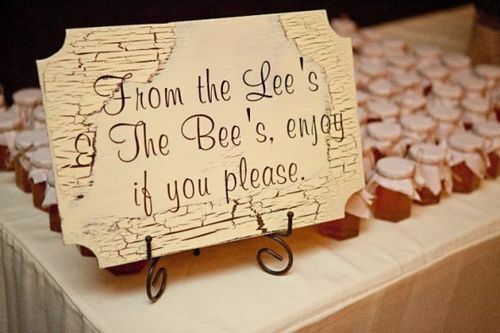 From Anonymous: "This couple had a cutesy little rhyme for their honey wedding favors, but any folksy appeal it may have had is negated by those apostrophes. " I wonder how many people noticed? Its funny how the mind will automatically correct something like double words or misplaced apostrophes. I had to read my own comment three times before I realized I typed “find” instead of “mind” the first draft. Shouldn’t that be “enjoy if you plea’se”?